Hey everyone! 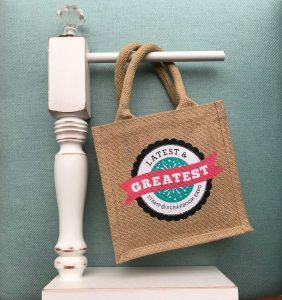 Roree here with today’s Make It Monday post, and I have some fun products from the Latest & Greatest workshops to share with you. 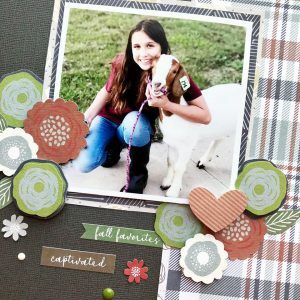 Today I am sharing a project I created with products from our last block of Latest & Greatest: Scrapbooking workshops. 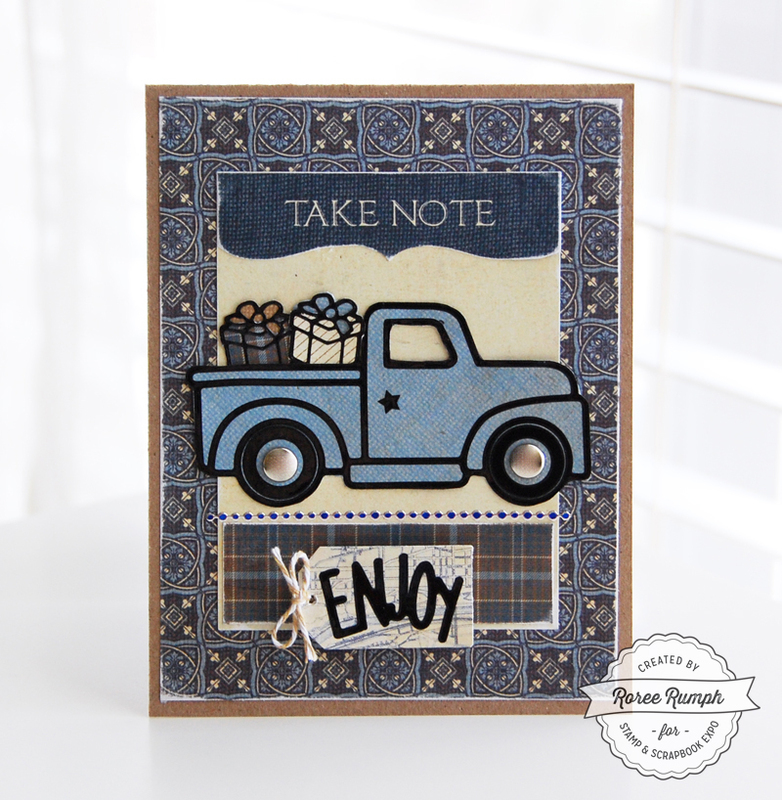 It contains two different Outline Sticker sets and border stickers from Krazy Kreations and papers and journaling cards from Authentique‘s Rugged collection. 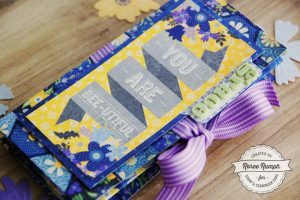 I used the papers and a journaling card for the base of my card. 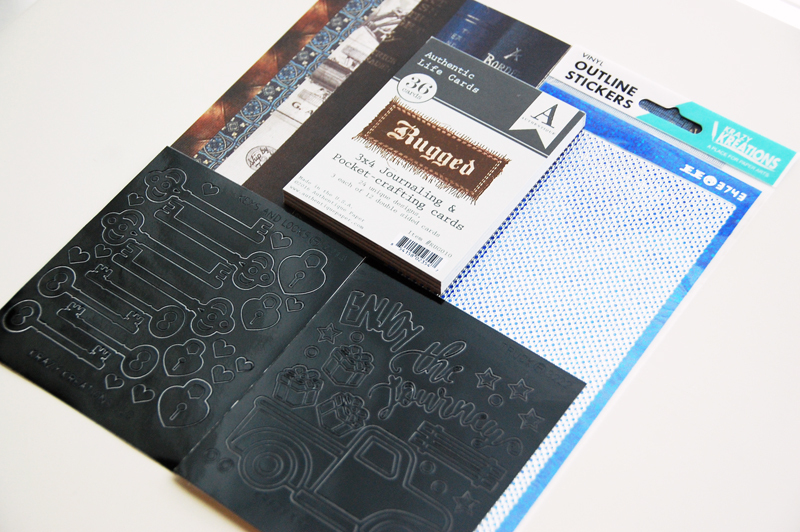 Then I used the journaling cards to decorate the outline stickers from the “Enjoy the Journey” set. I finished my card with a tag sentiment. The Outline Stickers are so much fun to play with. I know I will be using them on many more projects. This entry was posted in Card Making, General Crafts, Latest & Greatest, Make It Monday, Manufacturers, Paper Crafts and tagged Authentique, border stickers, Card, journaling cards, Krazy Kreations, Latest & Greatest, outline stickers, Patterned Paper, Roree Rumph, rugged collection, Scrapbooking, Stamp & Scrapbook Expo. 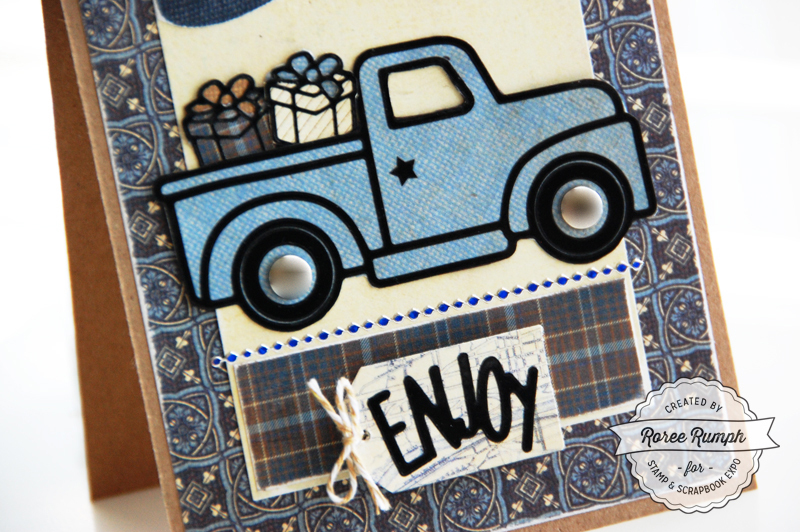 I love the truck stamps that are out there and all of the ideas for using them. Thanks for sharing this one. Love Krazy Kreations and their outline stickers! They have the best customer service and wonderful Expo classes.